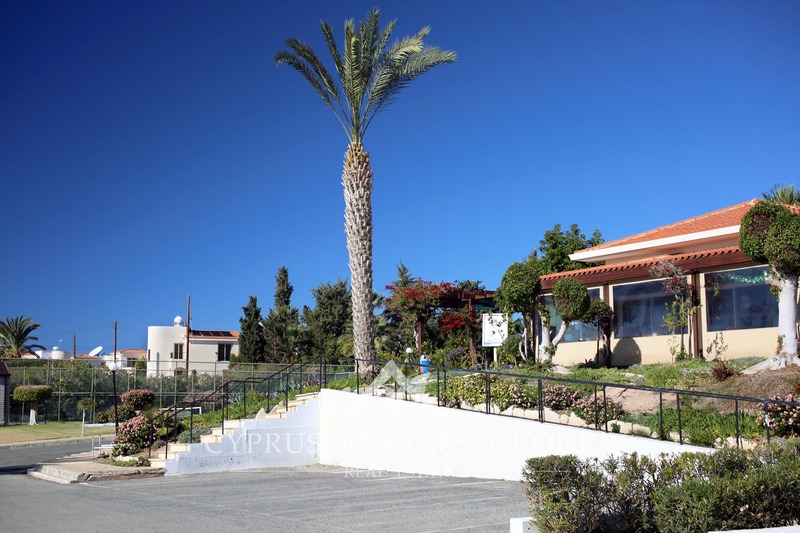 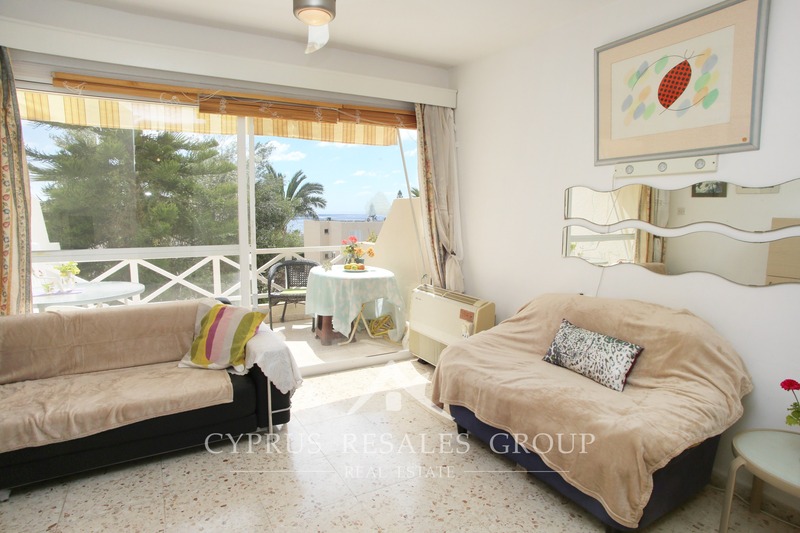 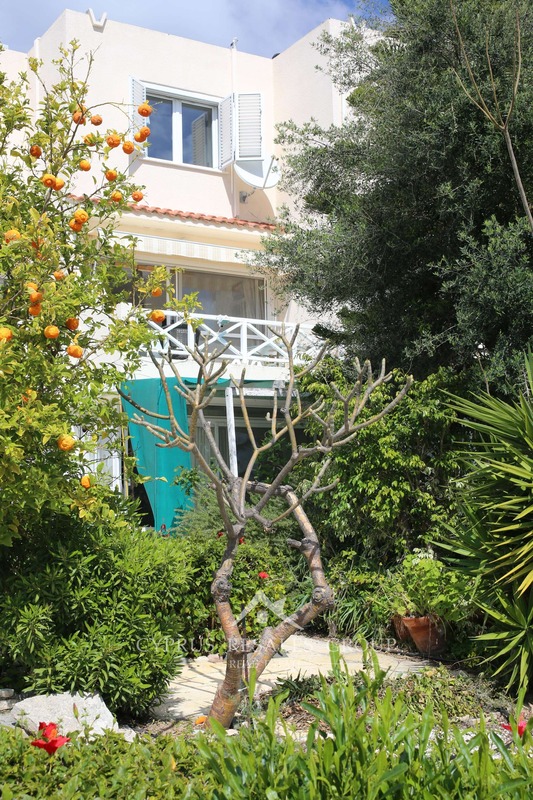 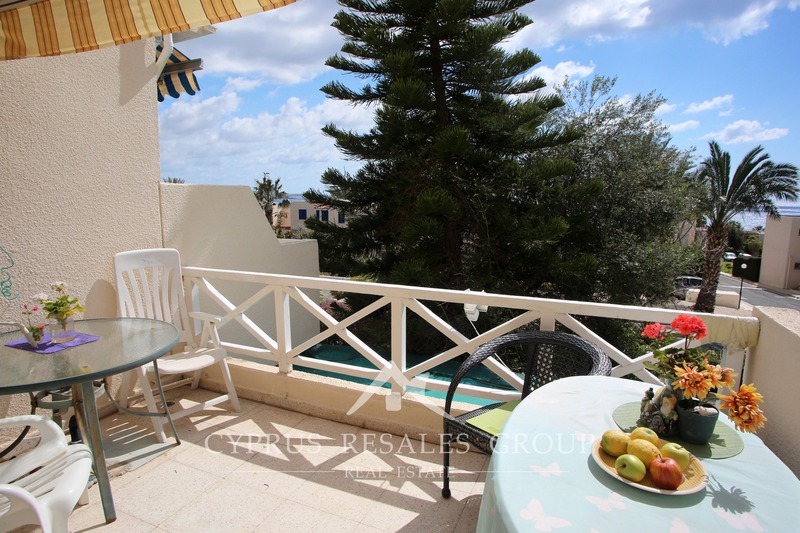 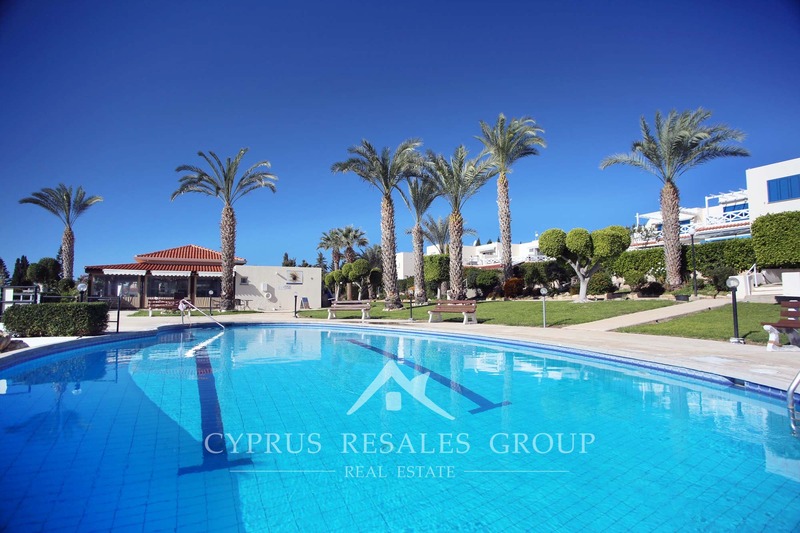 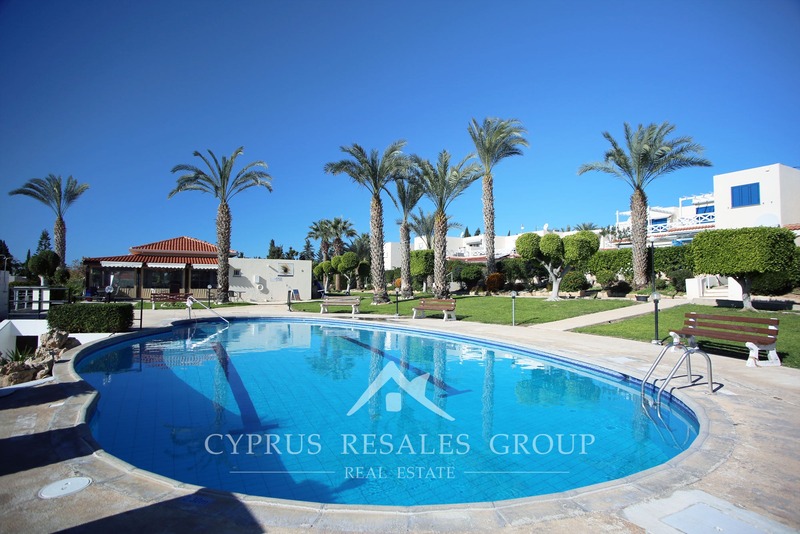 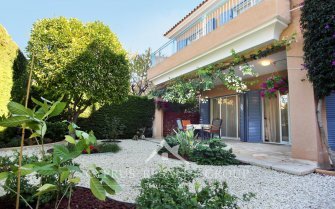 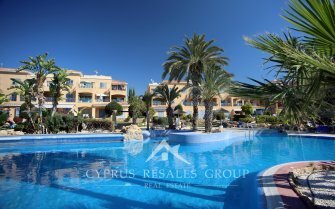 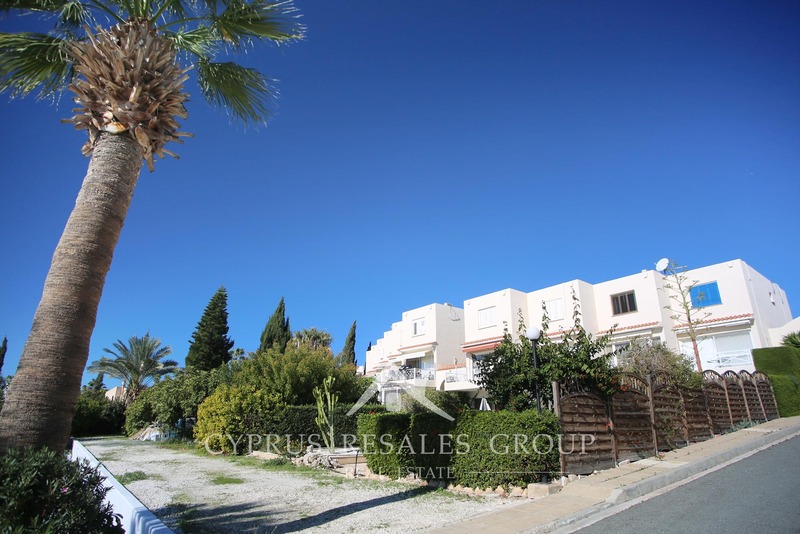 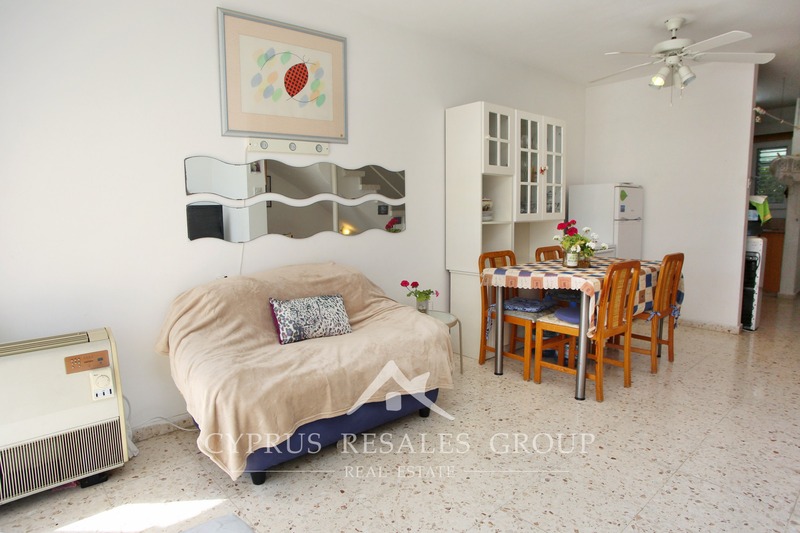 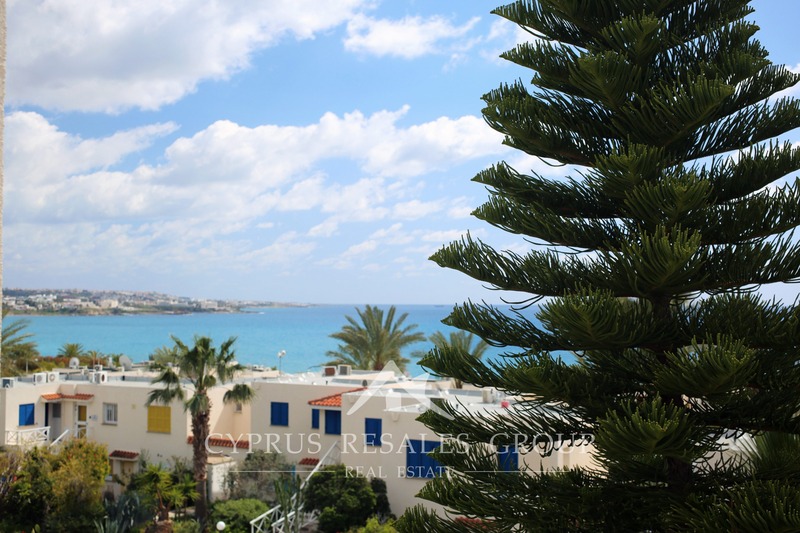 Situated within the very heart of popular Coral Bay area this townhouse is absolutely ideal for Mediterranean lifestyle. 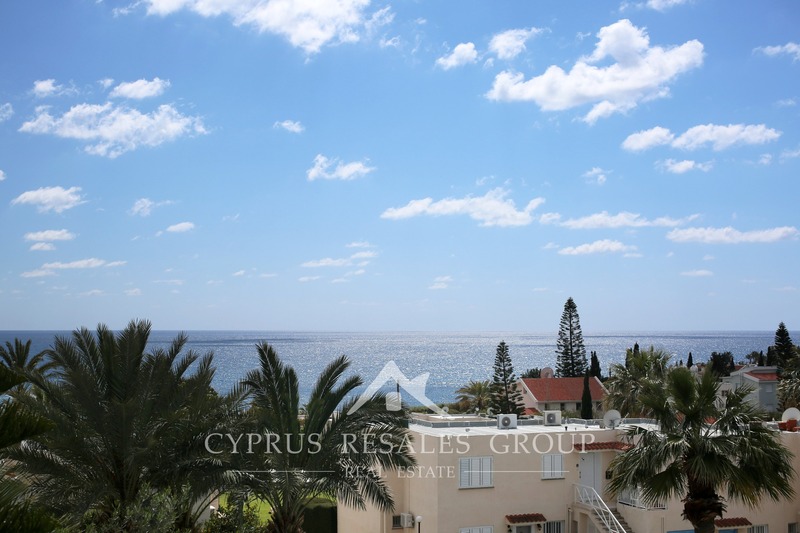 Coral Bay village by highly respected developer Cybarco is a premiere luxury development with its own tennis court, large swimming pool and a restaurant. 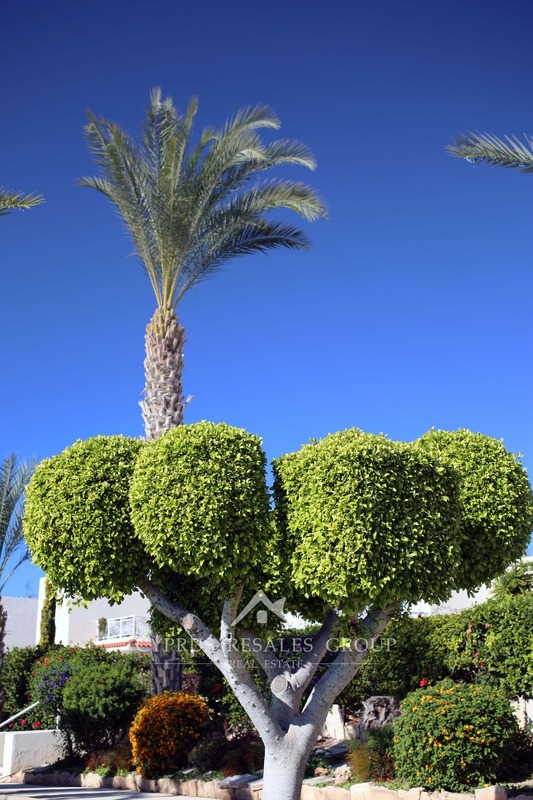 Palm trees and hibiscus provide large parts of the decoration in this exotic development. 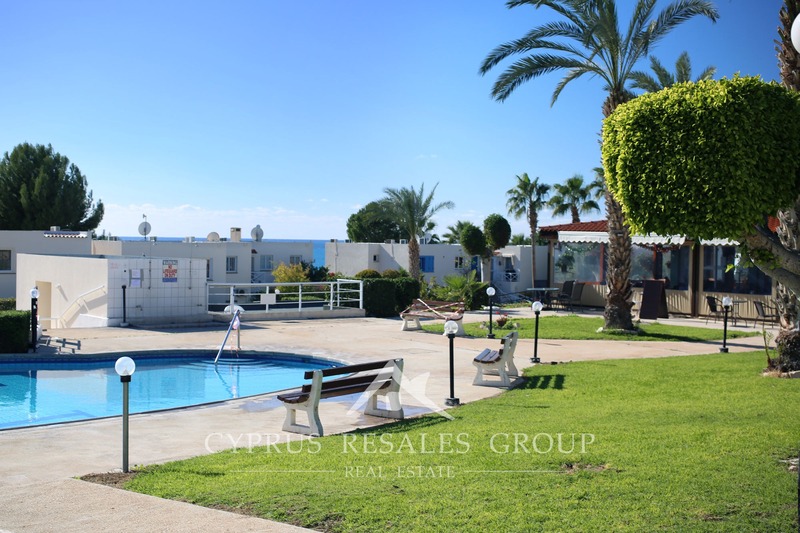 Within a few 100 meters from the property is the Coral Bay beach, all the restaurants and entertainment you could ask for. 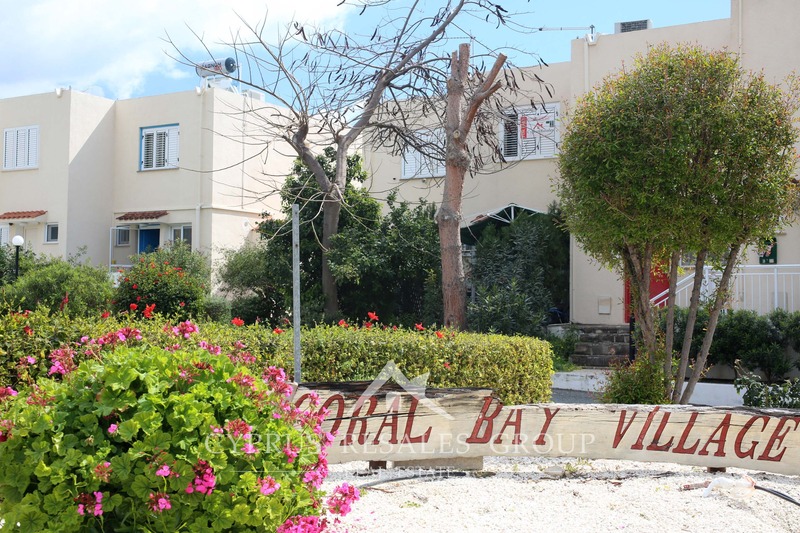 The new Marina at Coral Bay has not started yet, but this is only a matter of time and will enhance all Coral Bay properties when finished. 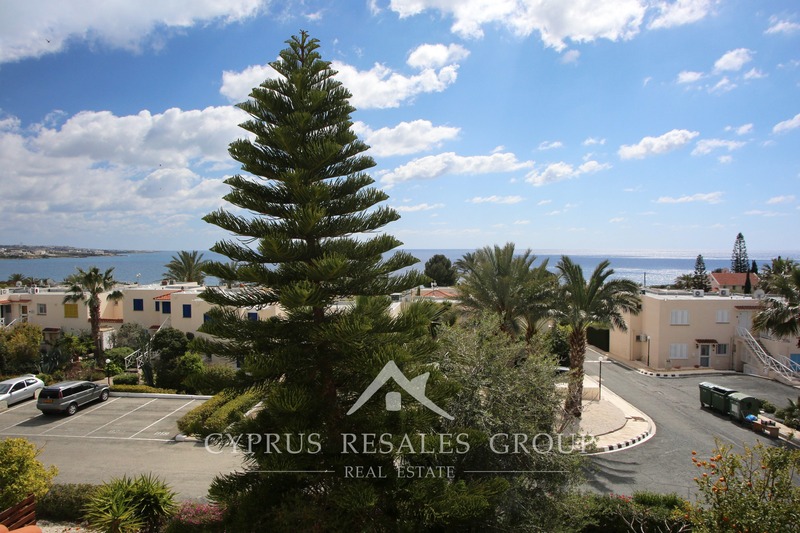 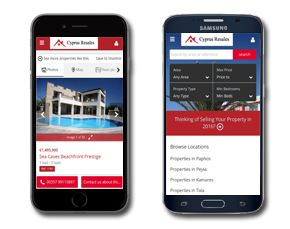 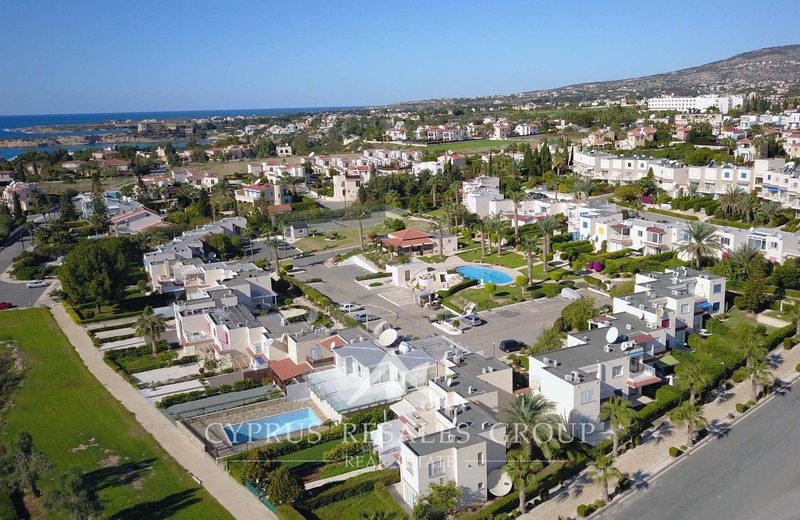 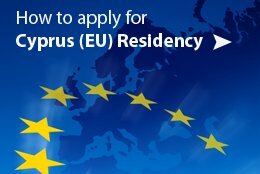 With sea views over the new marina site and coastline that snakes its way all the way to the Lighthouse within the UNESCO site in Paphos. 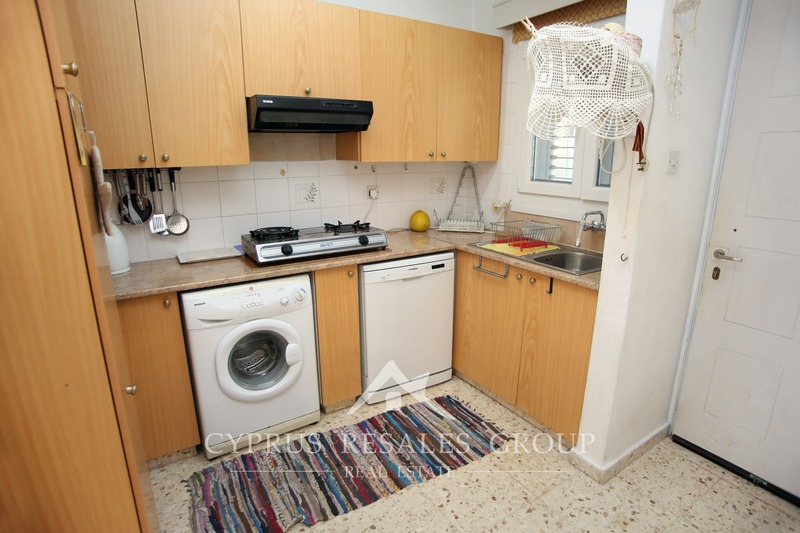 Entry lays into the galley type fitted kitchen, which is perfect for cooking up all sorts of delights to be consumed on the veranda. 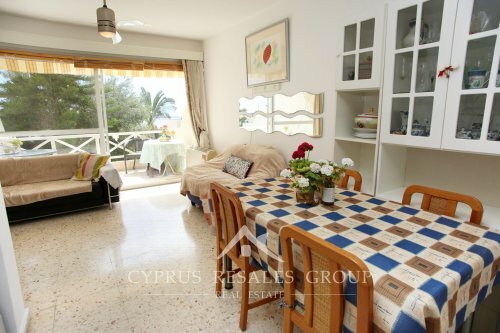 A well-proportioned living-dining enjoys the stunning sea views from every angle. 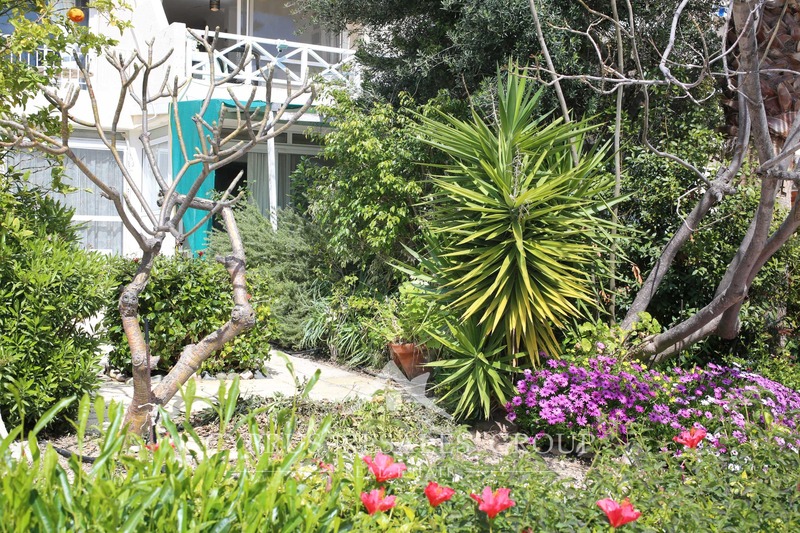 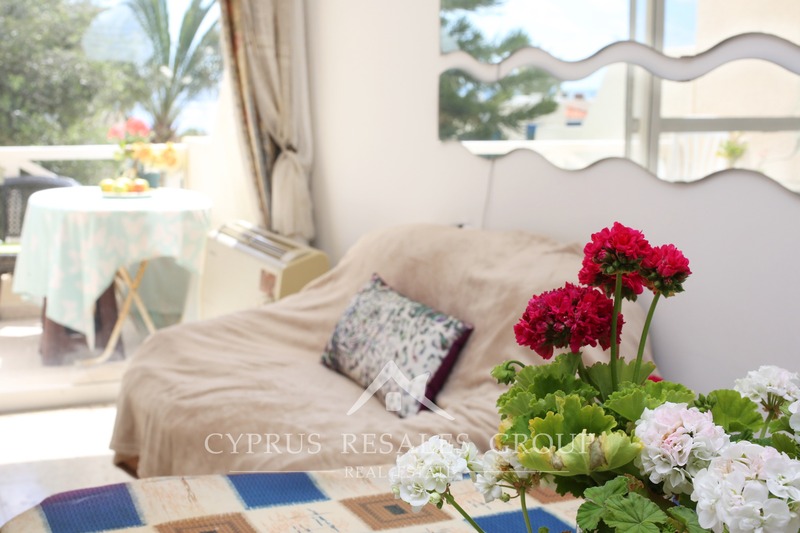 The private veranda has a lovely southern aspect of lush mature gardens framing the scenic views of the sea. 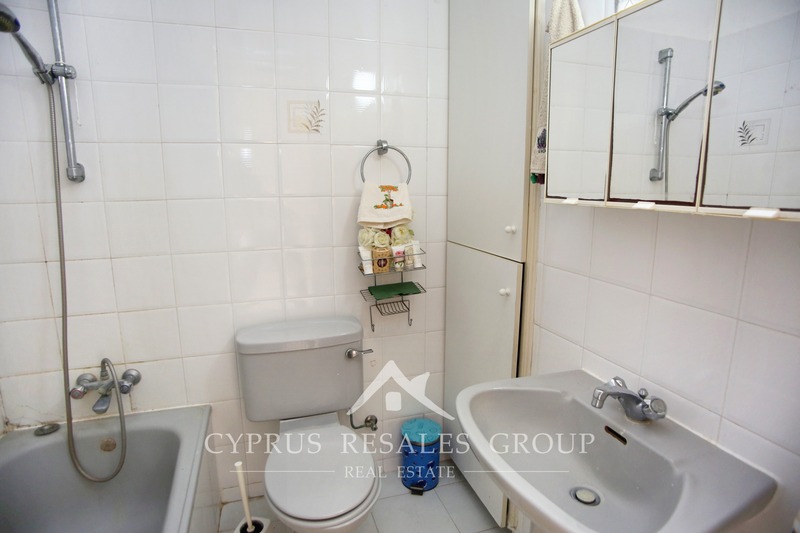 A WC on this floor provides convenience for guests and owners alike. 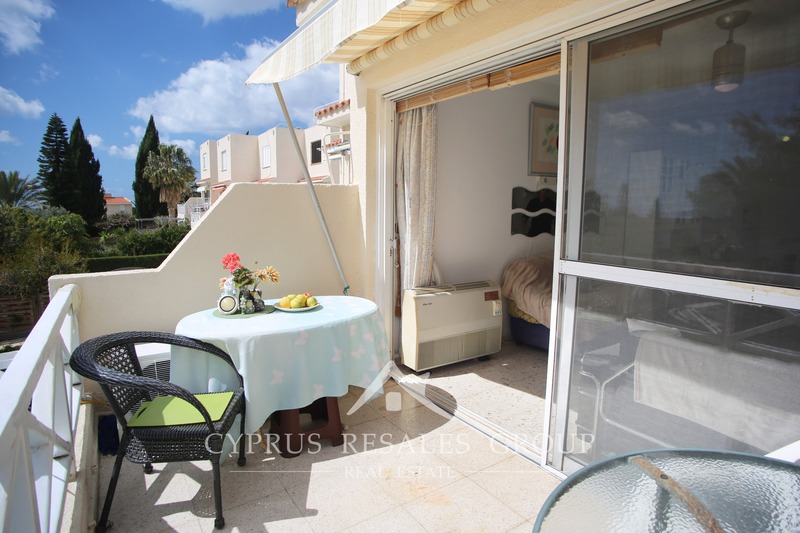 Upstairs there are two double bedrooms, both with fitted wardrobes. 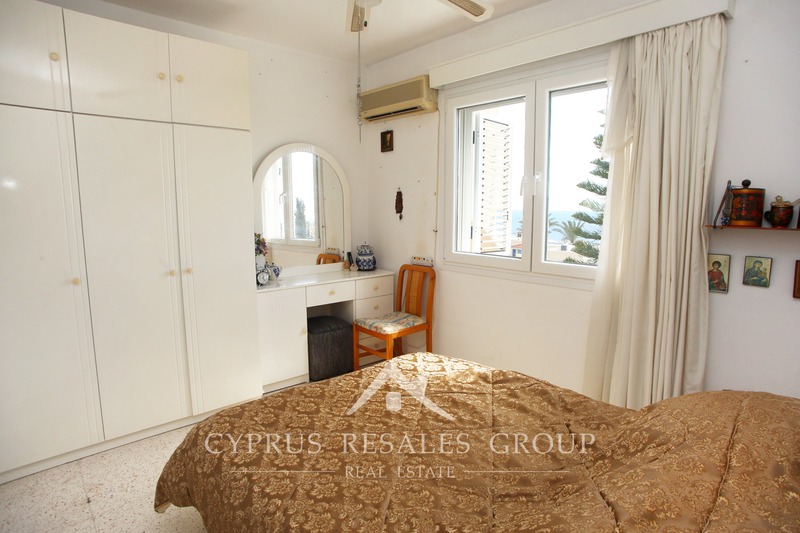 Main bedroom benefits what can only be described as panoramic sea views. 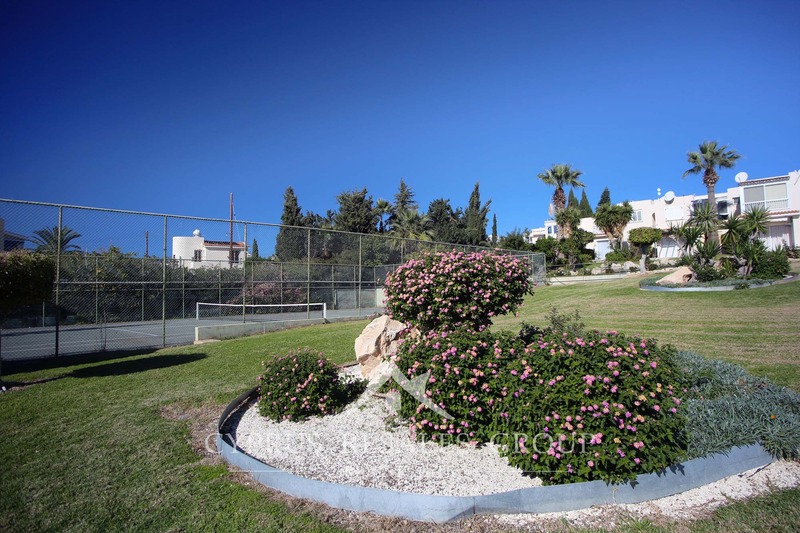 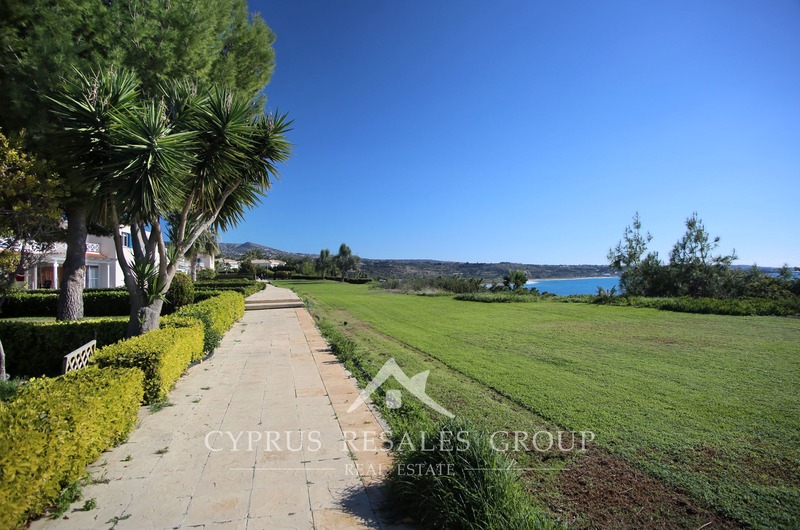 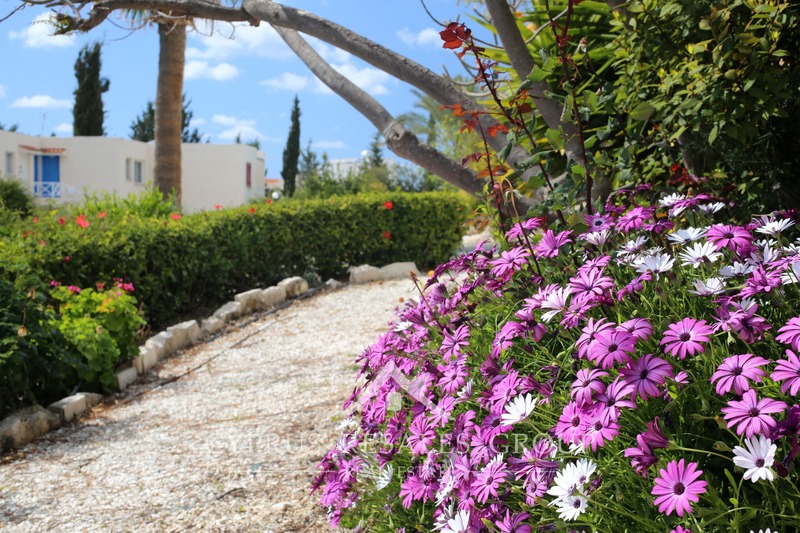 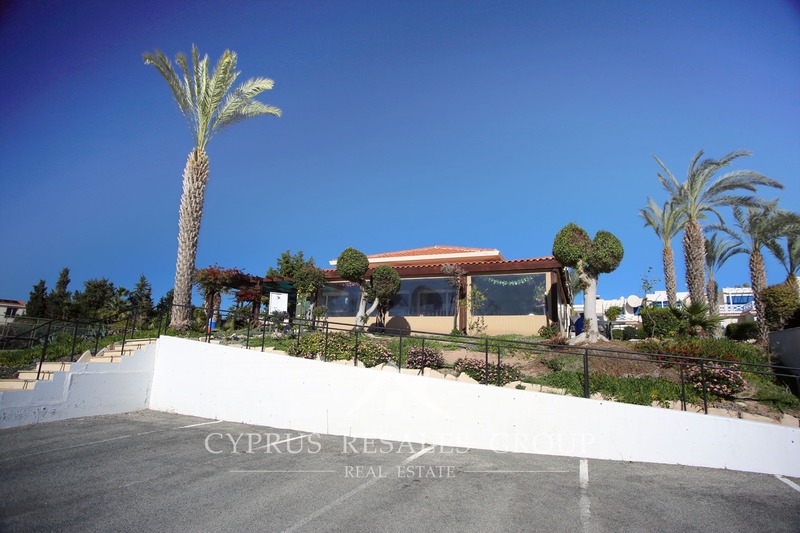 The other provides perfect contrast with views over inland Coral Bay and the Peyia hills reaching into the blue skies. 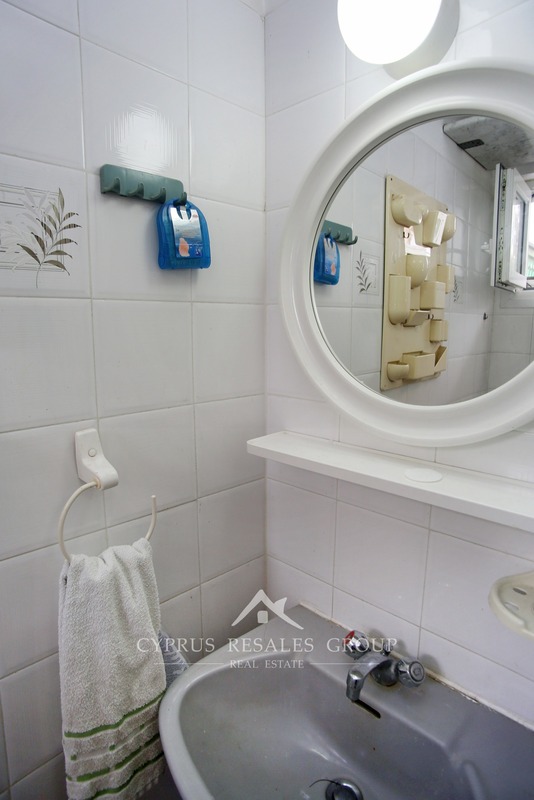 A full-sized family bathroom is located on the hall between the bedrooms. 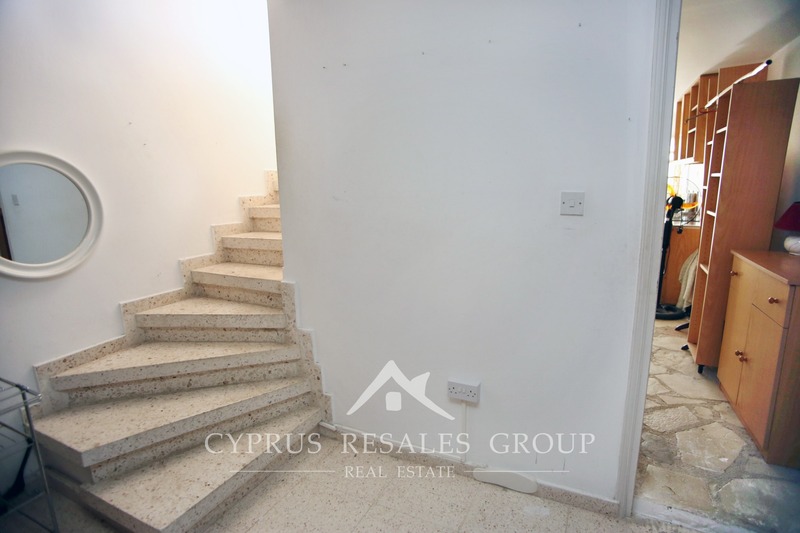 A basement area, that is accessed by a staircase from the living room, provides a flexible space that can either be a dedicated bedroom or family TV room. 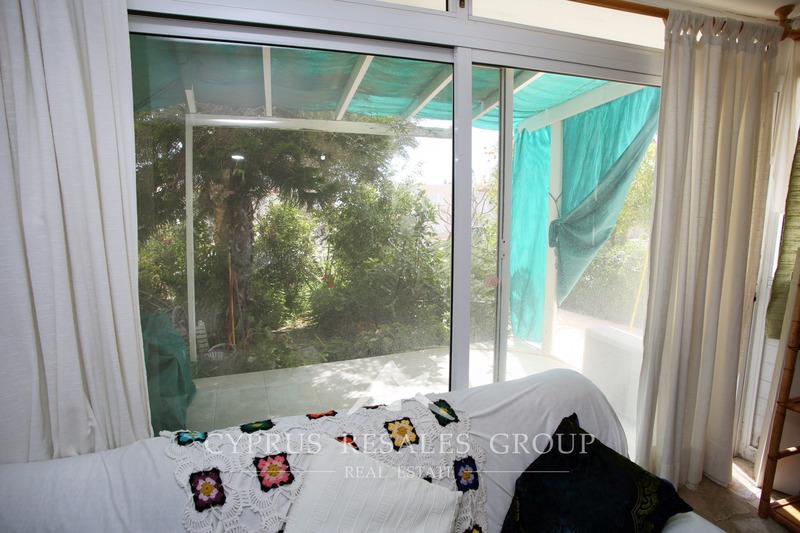 Patio doors lead out onto a private patio and then to the private gardens. 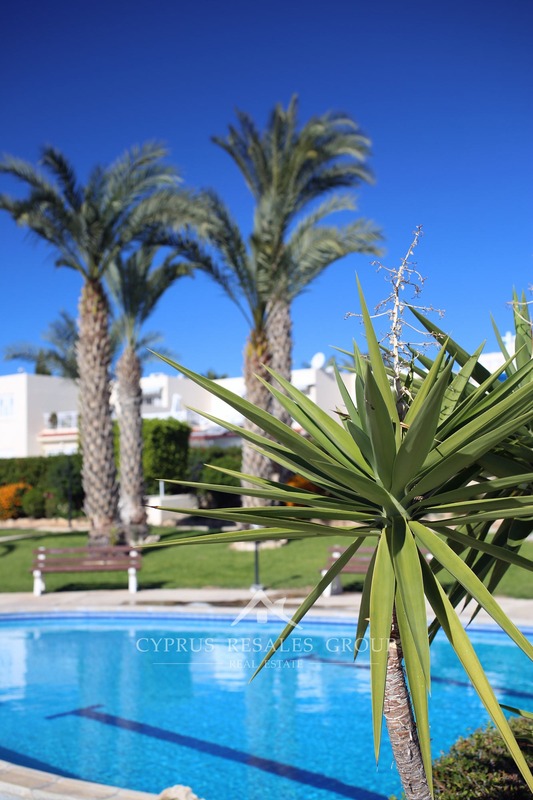 Cybarco Coral Bay Village has a prime location without compromise. 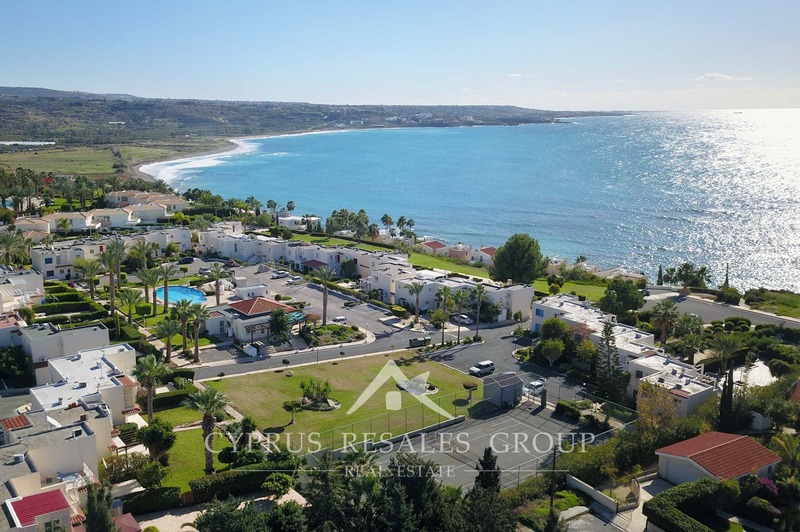 This excellent value property comes with FULL TITLE DEEDS and provides a blue-chip investment opportunity that is perfect for holiday lets or permanent beachside residence.